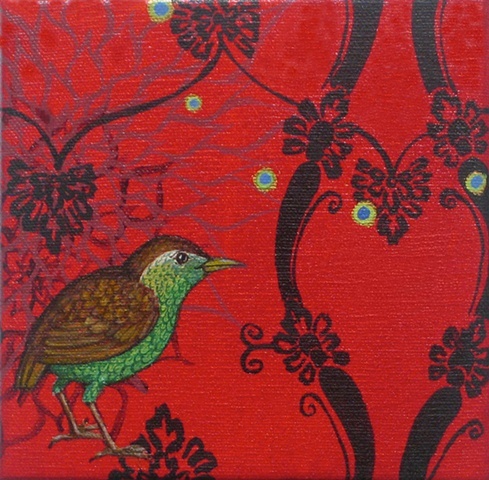 This painting is part of my endangered and extinct bird series. The Stephen Island Wren is extinct. Probably due to the Polynesian rat that was introduced by the Maori in New Zealand, it's habitat was threatened and a little bird that once had no predators, suddenly had a ravenous one. According to legend, a colonist's cat killed the last one. I have greeting cards or fine art giclee prints of this image.